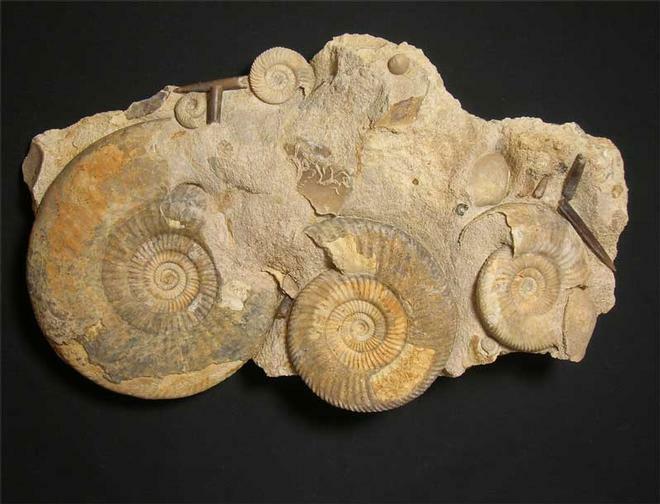 This is one of the finest multi-assemblages we have ever offered on Fossils Direct to date. Many,many hours of preparation have gone into this world class display fossil. 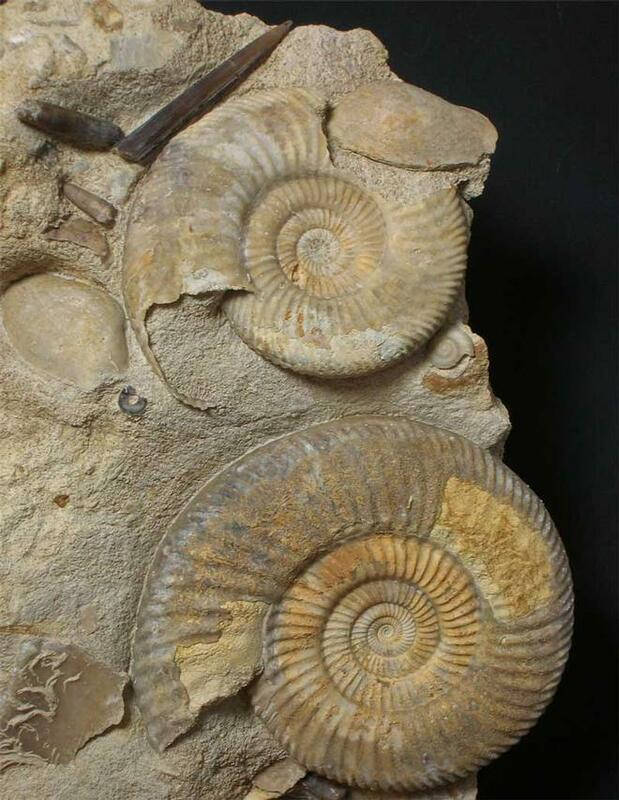 The locality where this fossil was discovered on England's South coast does not exist anymore as a location, and so these magnificent assemblages will become very rare in years to come and extremely valuable. 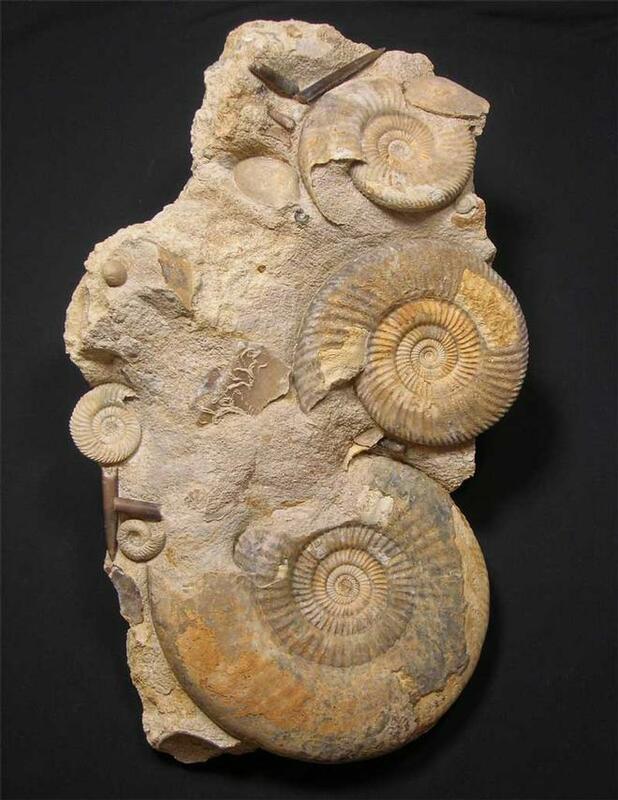 The piece consists of three (Parkinsonia bradstockensis,221mm,145mm,&110mm), three Belemnite Rostrums (Passaloteuthis paxillosus), two Bivalves (Pleuromya uniformis),one Echinoid (Pygurus ringens), and two smaller Parkinsonia sp as well as fragments of large ammonites encrusted with worm tubes. This dramatic assemblage is a snapshot in time some 175 million years ago on an ancient sea bed. 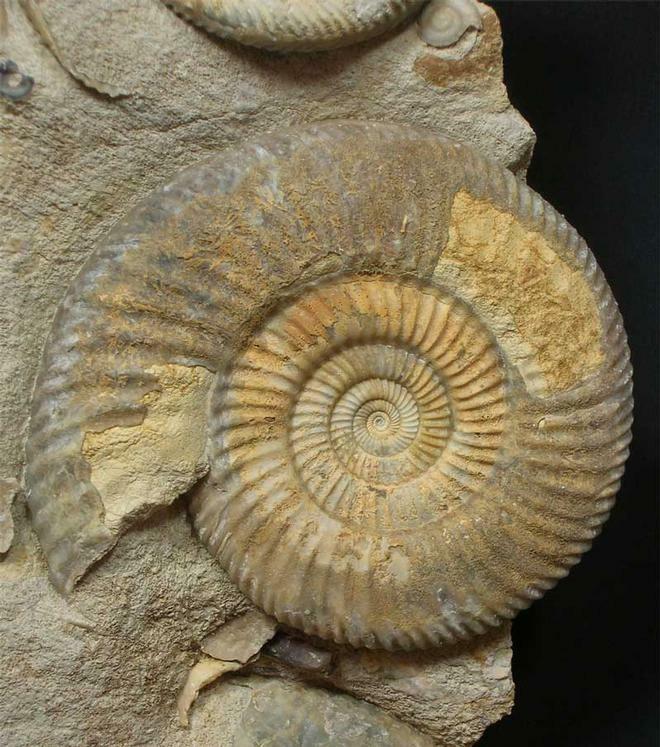 The detail throughout is truly superb and this fossil would grace any collection in the world. Prepared by Andy Cowap.